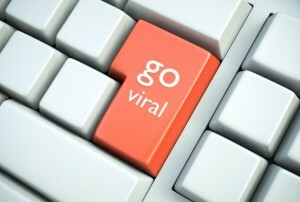 What does it take for your website to go viral? We’ve all heard about news items that trend over and over again, or the image that you can’t seem to get off your news feed because everyone’s talking about it. How do you generate a buzz that leads to this kind of excitement about your company? Sometimes a catchy phrase, tune, or image is all you need to get out there and be noticed. You’re up against a world of other ideas within marketing so what’s important is that you stay true to who you are. The point is not to be as exciting as you can be, even if that’s important. What you should focus on is bringing yourself to the table as genuinely as possible. People detect that genuineness and respond to it. No one wants to be gimmicked–but they DO want to know who you are as a company and why that should matter to them. Going viral generally means that something new is happening. People are curious and always looking for new things to talk about or read. Don’t stay with the old, give them something that they haven’t heard or seen before! Sometimes this just means thinking about something old in a slightly different way. Can you take a well-known image and change it slightly so that it strikes people? These are the ways you can think to freshen up content. Always put your best foot forward and don’t doubt that you will reap the rewards for doing so. If you feel discouraged, just remember that it almost always takes many tries before success is won. This is a normal part of any experience that seeks to do something new and innovative. So focus on excellence! When you concern yourself primarily with high quality, people will be drawn to that and keep coming back to you. Keeping a commitment to excellence and hard work is what will distinguish your company from the others in the industry. Farotech can help you on your journey. Please contact us at for a free consultation on how to bring your website from good to excellent. Want ideas to get more clients?